VERDE SPECIALISE IN ARTIFICIAL GRASS AND SYNTHETIC SURFACES FOR LANDSCAPING, LAWNS, LEISURE AND SPORT. Verde Sports Ltd set up in 1988 concentrating on artificial grass & synthetic sports surfaces for specialised sports such as golf, cricket and bowls. 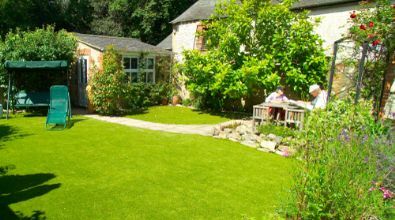 At the turn of the century Verde decided to diversify and are now market leaders in the distribution of artificial grass for lawns, landscape and leisure. Verde supply artificial grass direct to the public and commercial venues as well as hosting an extensive network of artificial grass distributors, stockists and installers worldwide. Verde are dedicated to improving the UK economy and are proud to fly the British flag, manufacturing most products in Britain, employing British staff. Artificial Grass isn't just for your Garden!